In the week when we endured the annual faff of putting the clocks forward, it was encouraging to observe some sterling efforts to put them back by decades and even centuries. First there was the happy news that Australia’s Prime Minister had taken a moment off from superintending his country’s search for a very small aeronautical needle in a whole prairie of haystacks to announce that he was reintroducing the titles of knight and dame, after a lapse of nearly 30 years. 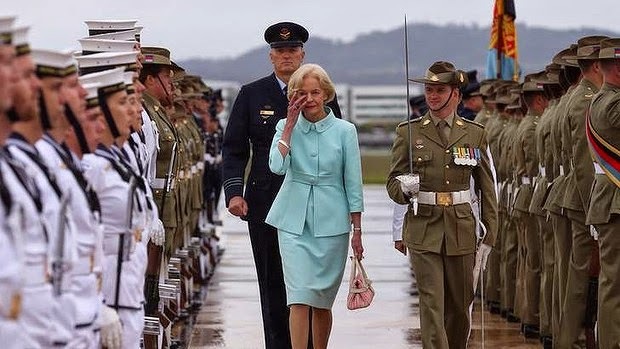 It would be a duller world that had to forego the possibility of another Dame Joan Sutherland or Edna Everage, so I was delighted to see Australia’s outgoing Governor-General become Dame Quentin Bryce. This announcement proved of no interest at all to the British media apart from The Guardian, which was predictably outraged. In my experience this is always a reliable indicator of a positive development. However, my pleasure in this Antipodean defiance of progressive nostrums was blasted into total insignificance by sheer awe at the monumental nerve of the theatre designer whose work I experienced on Saturday evening. Because somehow, in a world tied in knots by the demands of Elfin Safety, a genius has managed to construct a near perfect replica of a 17th century playhouse. Which is to say a building made almost entirely of wood, and lit throughout by candles, in which people in floaty period dresses waft around in thrilling proximity to the naked flames. 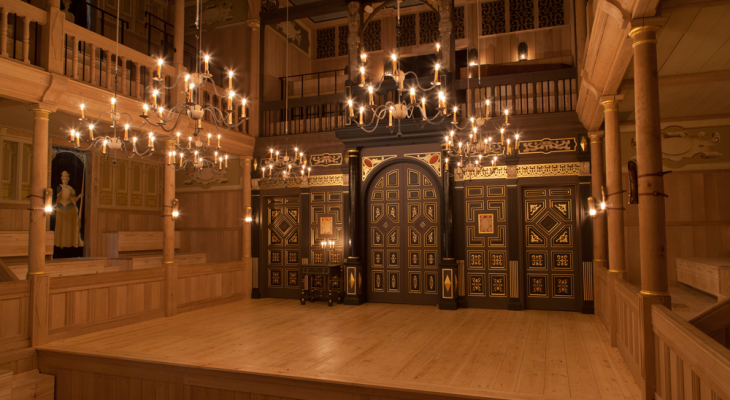 This miraculous place is called the Sam Wanamaker Playhouse and is a sort of footnote or addendum to Shakespeare’s Globe on London’s South Bank. The performance was of Francesco Cavalli’s Venetian opera of 1644, L’Ormindo. As readers of The Bluffer’s Guide to Opera will already know, the first true opera was performed in Venice on March 6, 1637, so this definitely qualifies as an early work. It was all the more remarkable, then, for its maturity and contemporary relevance. Combining comedy and tragedy with those old theatrical favourites of disguise and mistaken identity, it struck a particular chord with me because at its centre is a feeble old monarch married to a beautiful young woman, Queen Erisbe. So very like my own domestic arrangements. Quite unlike the happily loyal Mrs Hann, Erisbe dallies with two fit young princes before deciding to elope with Ormindo. But she is foiled by Fate, which blows their ship back to Casablanca and her irate husband. Who duly sentences the pair to death by drinking poison, for which someone kindly substitutes a sleeping draught. Which is handy, as the two lovers awake shortly after the king has discovered that Ormindo is, in fact, his son. Implausibly, all are reconciled and live happily ever after. It’s a bit like Romeo and Juliet or Tristan und Isolde, but with a happy ending. Seating just 340 people on authentically uncomfortable wooden benches, the new-yet-400-years-old theatre provides a wonderfully intimate and memorable experience, with excellent acoustics if occasionally dodgy sightlines, and I recommend it unreservedly to anyone who finds themselves at a loose end in London and can grab a ticket. 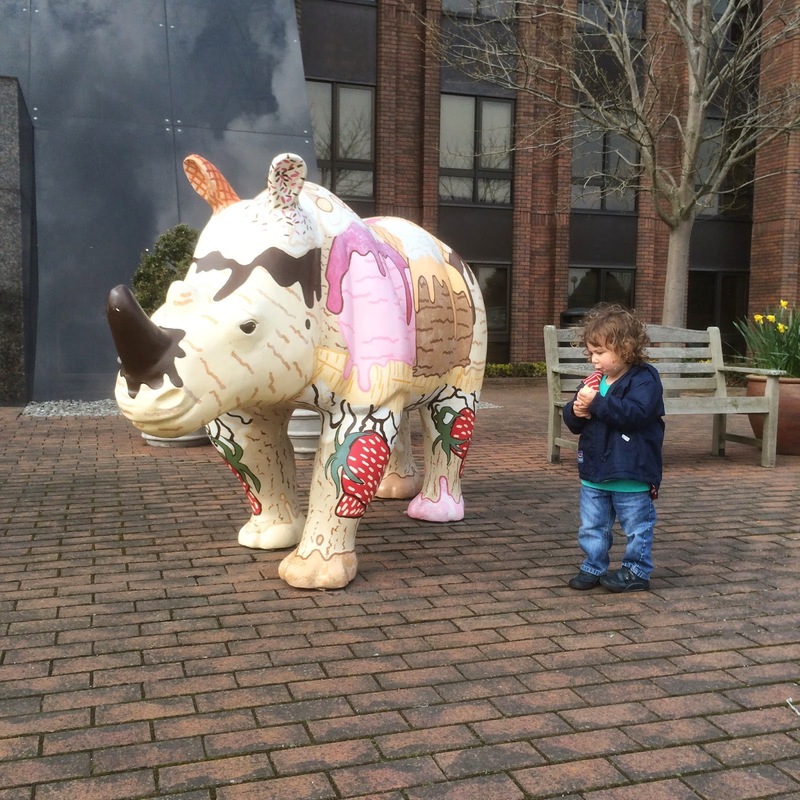 Unfortunately at the time of booking almost a year ago I had overlooked the fact that our night out was on the eve of Mothering Sunday, requiring an early morning dash back to be reunited with our children. Two-year-old Jamie has been delighting us for many months now by clasping both his hands to his head, waiting for all around to copy him, then beamingly leading a round of applause. When we got back I duly raised my hands to my head and nodded to him. In response, I received only the Hann Death Stare to which I treat people who ask how my diet is going. I know his growing up is inevitable and indeed desirable, but it did make me pine to put the clock back just another touch.